You'll love the blissful tones of this plush wool rug, and rightly so! The magnificent design and tones of this rug are sure to add a spirited touch to any room. Hand tufted, hand carved, and with a pile height of 2cm, this wool rug offers quality to suit your style of living. Like any handmade wool rug, this rug is velvet soft to the touch. With rich colours and elegantly simple geometrical design, this rug will compliment your decor by offering a distinctly sophisticated feel. 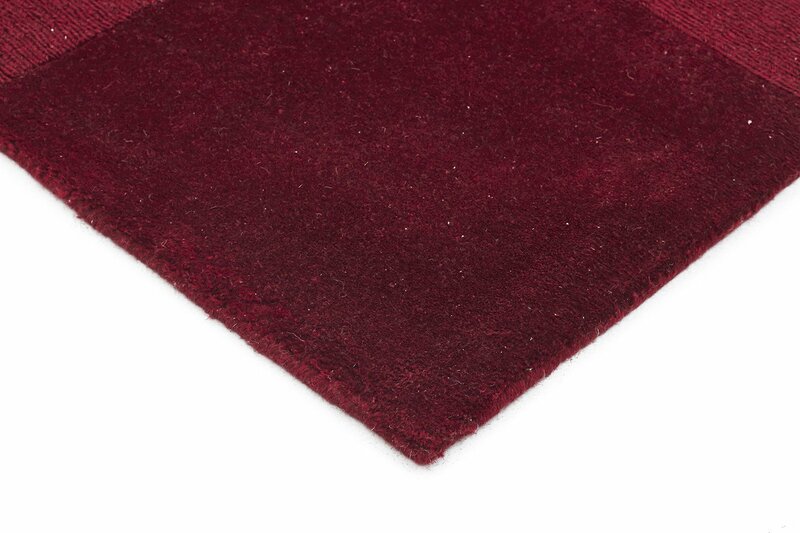 FEATURES: 100% wool Multi textured pile Hand tufted and carved Contemporary design Finest quality Dense 2cm plush pile IMPORTANT TIP: We recommend that an anti-slip pad such as Supa Rug Grip is used underneath rugs to prevent slippage between the rug and the surface it is placed on. Please note: Allow for a slight variation of colours depending on monitor settings. Please Note: This item cannot be delivered to a PO Box, only to a street address.